8. Check-in time will be announced at the pre-tournament meeting. THERE WILL BE NO GRACE TIME. IF YOU ARE LATE, YOU WILL BE DISQUALIFIED.​9. Safety, good sportsmanship, and courtesy will be expected and enforced. Failure to comply may result in disqualification. 10. The tournament costs $100 (this includes the Big Bass) and must be paid before the tournament. Only cash will be accepted at the ramp. 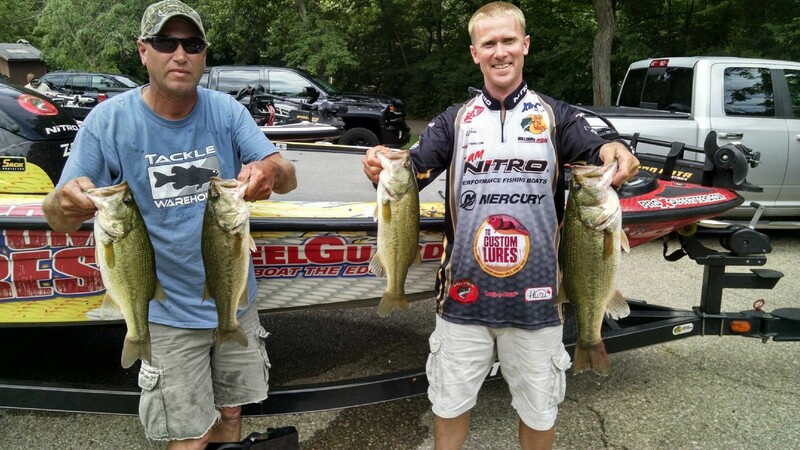 The big bass money will pay back two spots: 80% and 20% respectively. 11. Payback will be 1 team for every 5 teams participating with a maximum of 10 paid spots. 100% of entry fees will be paid back. 12. 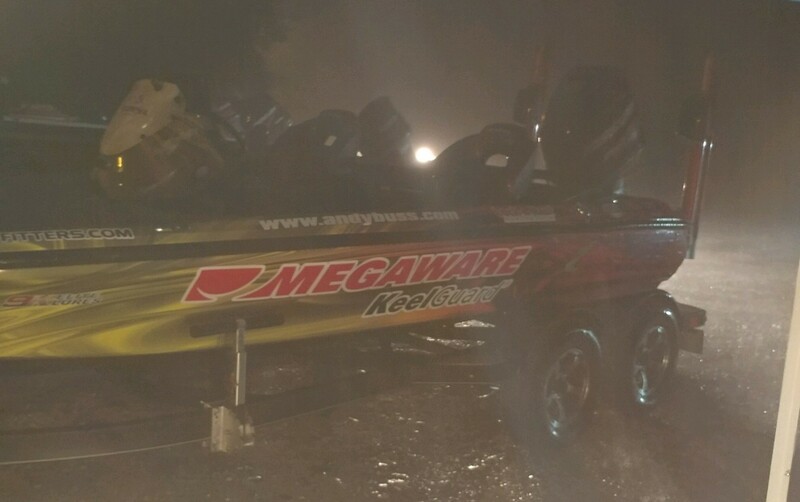 In the event of a tie, big bass will break the tie. If big bass is also a tie, teams will split evenly. 13. Trolling is not allowed. 14. Only artificial baits may be used with only a single rod at any one time. 15. All State and Federal rules/laws will be strictly enforced: this includes boating laws. 16. Life Jackets are required and must be worn anytime the gas engine is running. 17. All boats must have an aerated livewell in working order. 18. All boat owners must have sufficient liability insurance to cover any accident. 19. All alcoholic beverages and drugs are prohibited at all times. 20. Tournament “hours” begin the moment a team arrives and does not end until the last prize has been handed out. 21. A signed Entry Form must be fully completed and turned in during Registration. 22. Failure to comply with any rule may result in disqualification. ​23. All protests must be given to the Tournament Directors in writing within 5 minutes of weigh-in scales being closed. Rule interpretation will be determined by the Tournament Directors and their decisions are final. 1st Place: Congratulations to Jack Neff and partner for winning with a 13.64 pound limit, which was anchored by the Biggest Bass of the tournament - a 3.26 pound largemouth. They took home $600. 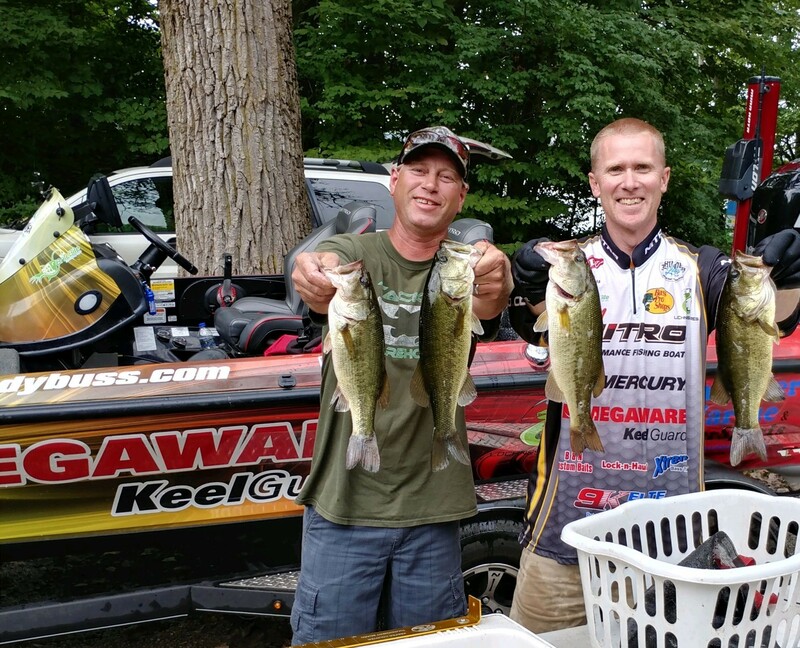 2nd Place: Kyle Seljan and Tim Rasala weighed 10.29 pounds and win $380. 3rd Place: A 10.12 limit won Bill Shropshire and Josh Johnson $100, but their bag also included the 2nd Big Bass, which added another $25 to their winnings. Watch adventures with Jim & Andy on Pine & Stone Lake. Photo Gallery - Click to enlarge.